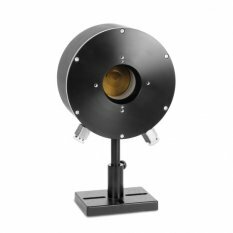 The BD10K-W is a water cooled beam dump for up to 11kW with a 45mm aperture. It has a deflecting cone and annular absorber that withstands high power densities to 10kW/cm². It can be used over the spectral range from 0.8 to 20µm.